What better way to enjoy the cooler months than gathered around a fireplace or stove with family and friends? Whether roasting marshmallows, singing campfire songs, or simply curling up with a hot cider and a good book, the comforting glow of an open flame has an undeniable allure. Swims & Sweeps offers only the best fireplaces and stoves from the top brands. Click on the tabs below to learn more about the products we offer. Nothing sets the mood quite like the flicker of a flame on a cool evening. From rustic to modern styles and everything in between- your friends and family will love gathering around the fire for s’mores, stories or even a romantic cuddle. 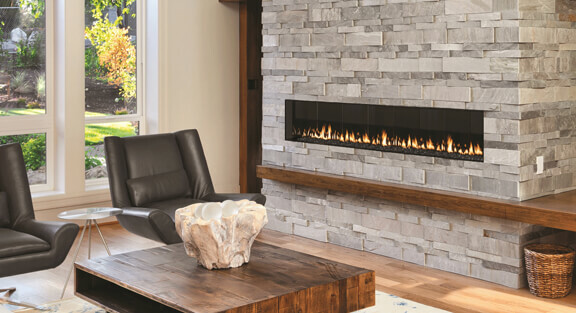 We are excited to offer multiple functional fireplaces that can meet your family’s exact needs. Our options include gas, electric, wood burning and even outdoor fireplaces! Choose between freestanding stoves and stove inserts that fit right into your existing masonry fireplace. Both offer a warm, inviting aesthetic appeal to your home. 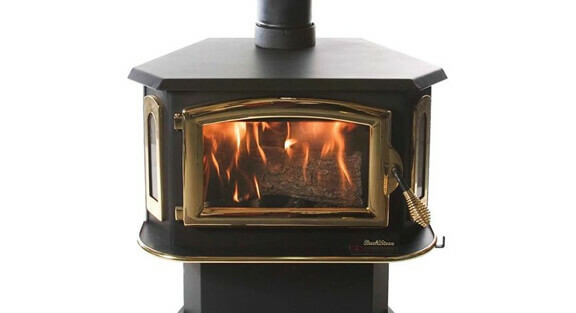 With options from brands like Buckstove, Hearthstone, and many more, you can’t go wrong with a top quality stove from Swims & Sweeps.